Alongside the core program of ATF2017 are a series of ‘satellite projects’. 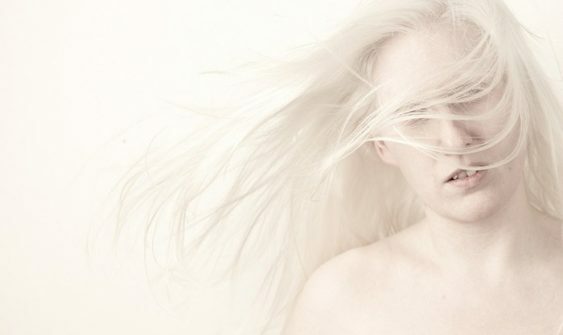 As part of Access2Arts’ commitment to exploring the inter-relationships between arts practice and disability, they are hosting Jo Bannon UK to lead a two-week residency. This disability-led residency will create a stimulating space to explore representation of identities by examining ideas from new perspectives. Jody Holdback, Lorcan Hopper, Pony Horseman, Hayley Lawson-Smith, Kirsty Martinson, Gaelle Mellis, David O’Brien, Matt Shilcock, Cinzia Shincariol, Eva Sifis, Gaele Sobott. 1 -2 October – Presented by Centre42, in association with Australian Theatre Forum, supported by OzAsia Festival. 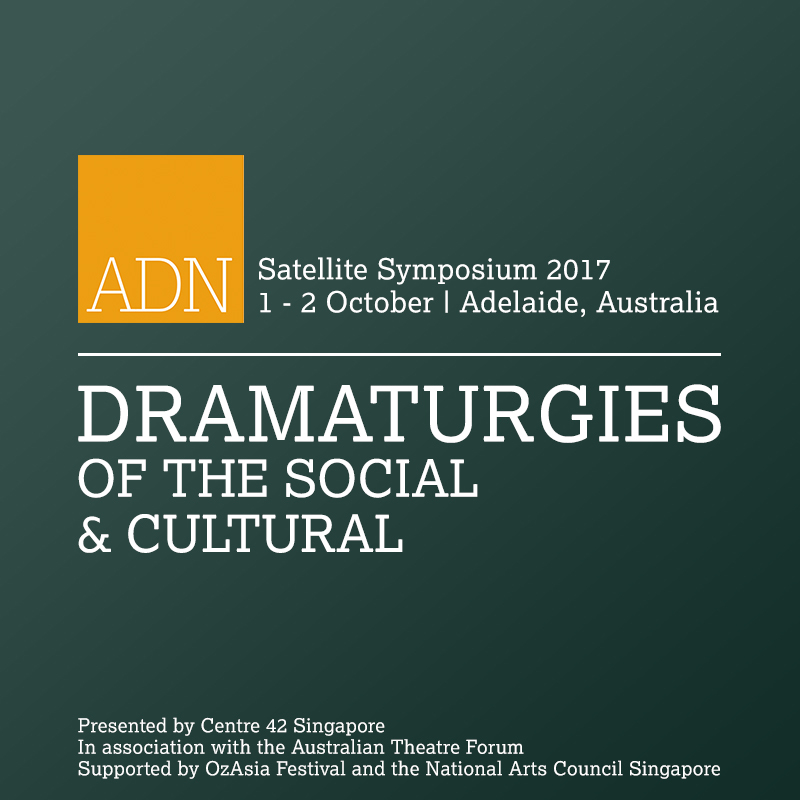 This Satellite Symposium explores dramaturgical thought and activity extending to community arts, cultural policy processes, public outreach and education, and social and civil engagement. 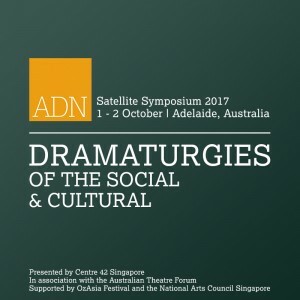 It will present a series of keynotes and roundtables by notable Australian and Singapore dramaturgs focusing on cultural difference and social action. More programme information available here. Registrations are now open for the 2017 National Youth Arts Summit delivered by Carclew in Adelaide on Friday 6 October. Over the last two years, Australia Council for the Arts held national youth arts gatherings to support our sector as we responded to the changing funding environment and shared our concerns for the future of the only national networking and advocacy body, Young People and the Arts Australia (YPAA). Carclew is pleased to present an ongoing opportunity for national conversation and connection by hosting the 2017 National Youth Arts Summit. Located in and around the iconic Carclew House and immediately following the Australian Theatre Forum, the 2017 National Youth Arts Summit will bring together artists, arts workers and young creatives who are engaged in art making with, and for, children and young people, in all art forms, across the country. Registrations and Info Here. MASTERCLASS: The artistry of the youth arts facilitator. Saturday 7 October, 10am-2pm. Carclew invites delegates to stay an extra day to participate in this rare and exciting professional development opportunity for artists working within the youth arts arena. Registrations and Info Here.